We had a good run in 2014, playing some 60 shows in the US and Canada. This year we have decided to get back on the road and to even more places as we have already announced many dates in the US, UK, Japan, and France with many more show announcements coming soon. I’m excited about getting back inside the songs, and I feel like I’m in the best place in my life to do so. As a vocalist, I think it’s important to present the songs sincerely, to express them completely — every nuance of them, and to truly live them in the moment that you perform them. I feel good about being able to do that. It’s a very substantial catalog of timeless songs, and a lot of great vocalists have sung these songs before me, and that both inspires and encourages me. I’m truly happy for the opportunity to be able to perform this music, and I look forward to seeing you all up the road! Much Love! Meanwhile, the competing version of Black Flag, FLAG (with classic-era Black Flag members Keith Morris, Chuck Dukowski, Bill Stevenson, and Dez Cadena, and Bill Stevenson’s Descendents bandmate Stephen Egerton) are playing Punk Rock Bowling. 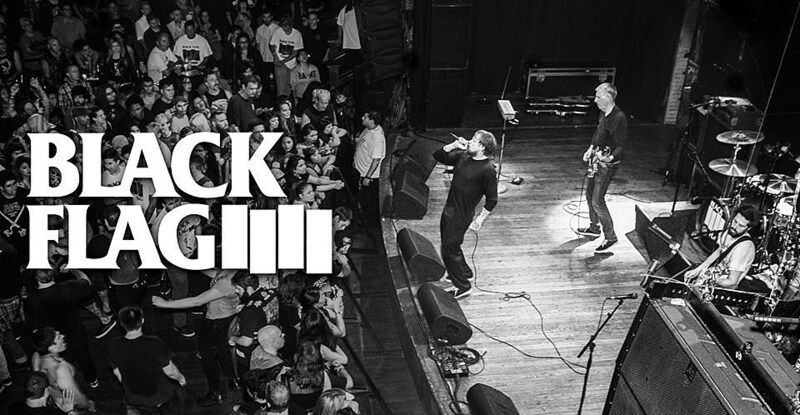 Earlier this year, we ranked Black Flag Albums and EPs Ranked Worst to Best.